Ok, once more bear with me. I’ve tried. I’ve REALLY tried to not be political in my blogging. This hasn’t always been easy, as my friends will snicker and choke knowing that I am an incredibly opinionated bleeding red Liberal (not to confuse my American readers, the colour for the left and right are reversed north of the border). I’ve never met a debate I’m not tempted to throw my two cents into. I’ve worked hard to push that aside on my blogging, dealing with life on wheels, being a geek, and the things that drive my wife insane. So…I’m breaking my rule, even as I am aware it might bring some Trump fanatics to my blogging, twitter or Facebook door. So be it. Let me be my most eloquent possible as I try to speak directly to Mr. Donald Trump. This was done hastily and in anger…so…enjoy. No, I mean that. Truly and deeply. You have stated recently that you love disabled people and that the proof is in the millions of dollars you’ve spent making them accessible. Where to even begin, since I don’t think any of my arguments will possibly sink in, but tonight I intend to argue against a wall. 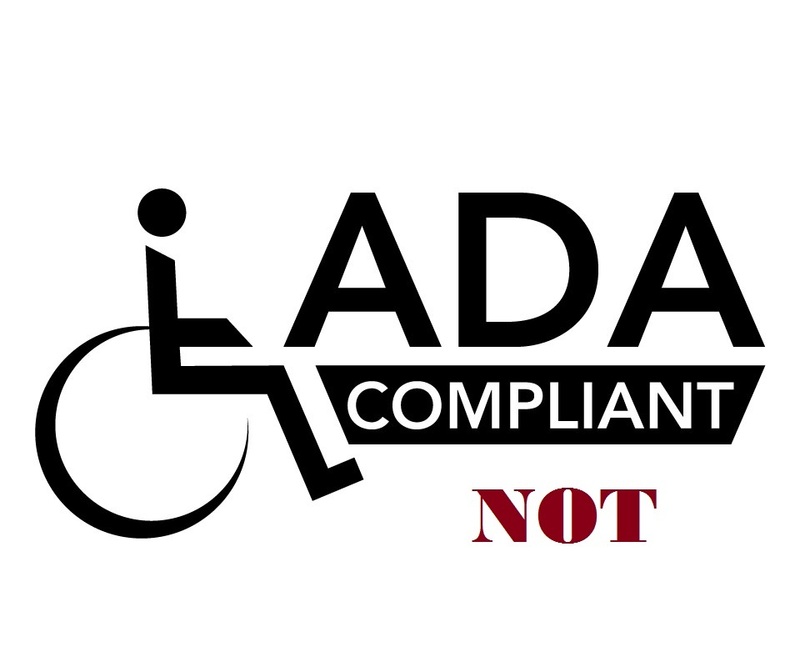 Have you ever heard of the ADA? You should have. You’ve been sued more times than one can count for violations of the American with Disabilities Act, including at your Trump Taj Mahal Casino in Atlantic City. You eventually settled with the government so I assume you are passingly familiar with the law. Notice that word? Law. Accessibility in buildings isn’t something you give millions of dollars to out of the goodness of your heart? It’s THE LAW. You are mandated by the ADA that your buildings must meet minimum standards to comply and there are examples over the years of your constant ignorance of these rules. Forget that though…as I am sure you have forgotten many times. Here’s the key. You don’t get to treat accessibility like you are giving millions of dollars to cure cancer. You didn’t give or donate anything. You were doing what is the law, and very poorly one might add. This doesn’t make you the best friend of the disabled, anymore than you can claim to the best friend of Latinos or Blacks. Accessibility isn’t charity. It’s a human right. Period. Stop. End of argument. It’s not something you get to use as a distraction for how you’ve mocked people with disabilities. You don’t get to use it as a means of hiding your true feelings. Oh and about that mocking? Stop denying it. You weren’t being overly emphatic, you were mocking that reporter the same way you later mocked Fox News commentator Charles Krauthammer who happens to use a wheelchair and has been highly critical of you. If your supporters want to blind themselves to this window in your soul, that is up to them…but the rest of the world isn’t buying it. Want proof about the mocking…see this article from Politfact. Stop telling us you love us. Please. If this is your version of love, then the world can see why you think America is at midnight. I am proud to now belong to the many minority groups you’ve declared yourself the best friend of…from the LBGTQ community, to Blacks, Latinos and the disabled. I’ll sit proudly with them and not ever worry about having to use any of your buildings. Your Trump Tower in Toronto has been a disaster anyway (and yes yes I know you just lent your name to the project…but isn’t that your defense for Steaks and Universities too?). Keep your love Don. You’re going to need it come November.